May 2015 ~ this anomal life. New toy alert! 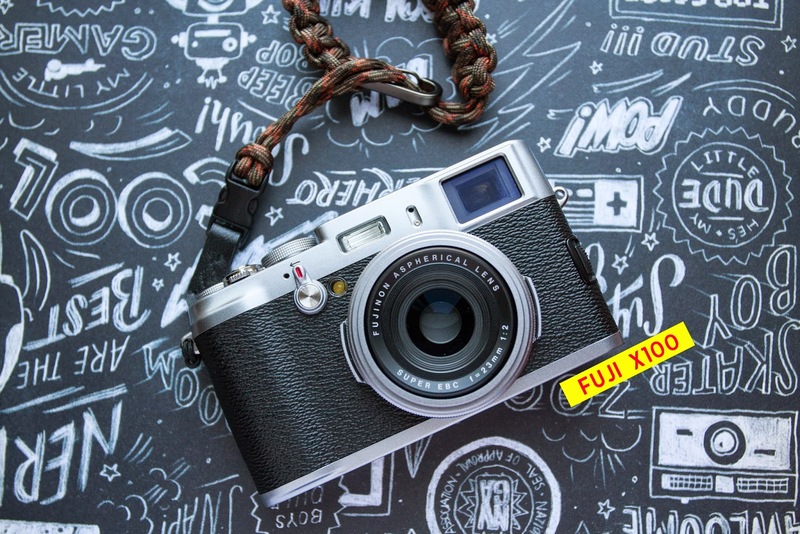 I bought a used Fuji X100 from Adorama's used department. I've had this one on my wishlist for quite a while now. 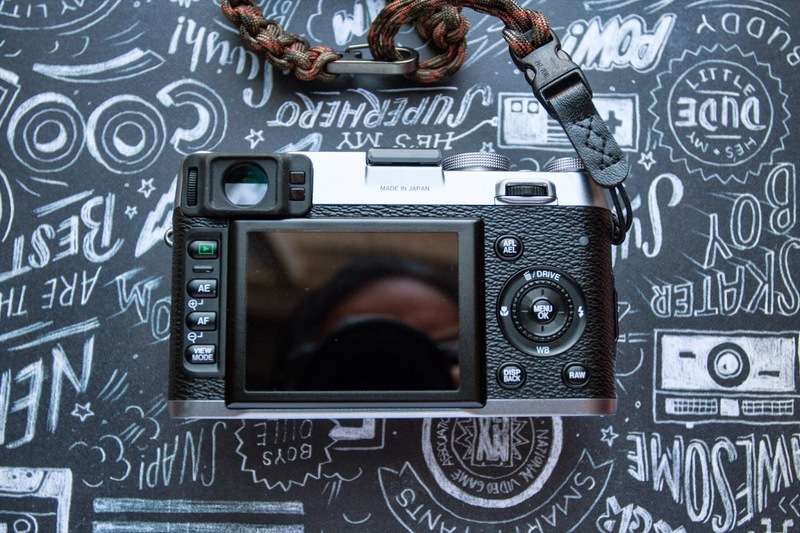 Why did I buy it now and why did I buy the X100 and not the X100S or X100T? All because of the awesome firmware update 2.10 and because of the price ($449 USD in 8+ condition). In this post I'll show you unedited, SOOC photos taken with this camera. First of all, this camera is gorgeous on the outside. I would have preferred an all-black one but the X100 does not come in black, except for the special edition. That would have cost me about $300 more. I'm not going to get too technical in this post. I'll focus more on the overall shooting experience and image quality. There are plenty of reviews online that talk about the specs in detail. Google is your best friend. Inez in her favourite stationery store, Hanji, in Koreatown. Very matchy-matchy with this wall. That is a red bean and dduk ice cream bar I'm eating--it was awesome. I gotta say, the colours coming out of this camera is pretty punchy. Focusing in the OVF is pretty good as long as you're not too close to your subject. Keep in mind that, unlike a DSLR, OVF's on mirrorless cameras don't communicate with the lens directly. It will lock focus by showing you a green box in the area of focus. Sometimes you check out the photo after you take it and you will notice that it is slightly different. This is very noticeable when you take macro shots. At times you'll find that it will not focus to the area you want. I would recommend using the EVF or the LCD for all your macro shots. If you set your View Mode to "Eye Sensor" it will detect when you have your eye over the viewfinder and switch back to LCD automatically when you're not. This makes it pretty easy to fire from your waist level. The lens is really sharp, I gotta say. I am also digging those minty kicks. Photocred to Inez. I found myself shooting with the OVF most of the time. It feels much more natural and quick. It is also completely silent--your subject won't even know that you took a picture until you tell them. The camera uses a leaf shutter that is extremely quiet. Now, the minimum focus distance of this camera isn't too close...it's about 2.6 ft (80 cm) before you have to enter macro mode. Firmware update 2.1 improves this distance by about 30% apparently. Anything closer you'd have to turn on macro mode. My favourite tip with macro mode is to switch to MF mode. Once you're in this mode, press the AFL/AEL button and it immediately snaps on to the closes object. This little tip plus the new focus-peaking feature really makes focusing in macro really easy and quick. Just make sure that you have it turned on in the menu (MF Assist: PEAK). Battery life isn't that great since it uses a 1800 mAh battery. I bought a spare battery and it should last you a day. I have never seen a flower this colour. Bokeh is understandable for a 23mm lens, but still pretty smooth. Handheld macro...a little bit blurry because of motion. Overall, I enjoyed using this camera. It felt like a natural extension of your arm because it's so light and quiet. Yes, it has its quirks but no camera is perfect. When people see you with this camera, they are not intimidated--definitely a big change from someone that shoots regularly with a DSLR. 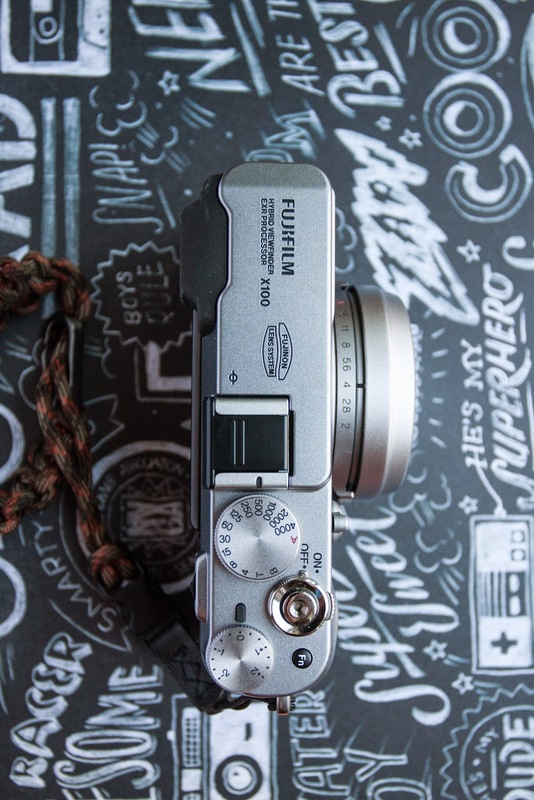 Should you buy the X100? If your budget is limited and you're looking for a fantastic travel camera with a fixed lens this is definitely the one for you. Remember that the brand new price for this camera was $1200! If you have more money to spend, I would recommend the X100S. A lot of reviews out there say that there is a big learning curve to using this camera. I don't know if that's true since I got used to it pretty quickly once I was happy with the settings. I'm still learning how to use this camera more effectively but I'm sure it will be a lovely journey!